We can't recall tasting a line-up of French Rhone white wines and host David Greiner was interested to have a look at this category. We selected a set of 8 wines, from a modest little grower's cooperative white Cotes du Rhone to some offerings from famous and pricey producers. We avoided wines which were predominantly Viognier, so we bypassed the Condrieu appellation. 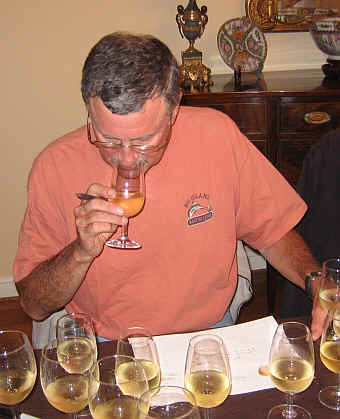 We were curious to evaluate wines based upon Roussanne, Marsanne and Grenache Blanc. A couple of wines out-paced the group and these came from the firm of Paul Jaboulet. This is a most encouraging sign, since the Jaboulet family divested itself of the winery and vineyards in late 2006 and new owners (the Frey family who own Chateau La Lagune in the Medoc and a substantial share of Billecart-Salmon in Champagne) have been reportedly making major investments. The tasting participants all sounded a note of enthusiasm for these wines as a group. There were no flawed wines and the overall quality was quite good. 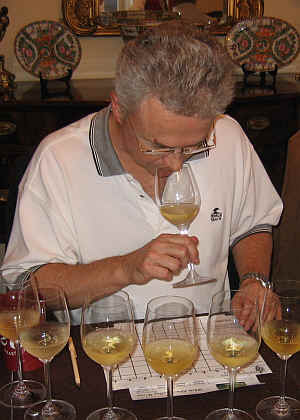 The Roussanne grape tends to provide body, acidity and aromatics to a blended wine. It's said to have a pear-like fruit quality, evolving to a more nutty character with aging. 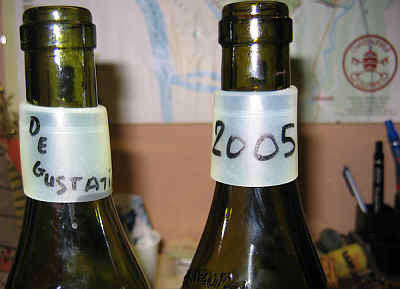 Marsanne is said to more easily show the minerality of a particular vineyard site. 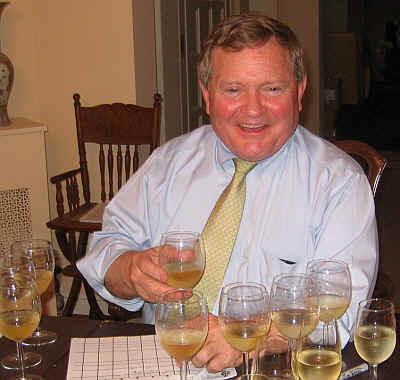 It's fruit quality if likened to melons and pears, Winemakers say Marsanne tends to have the body of a rich Chardonnay. Grenache Blanc is the white clone of a variety thought to have originated in Spain. The grapes are able to provide high sugar levels along with high acidity. It can display white flower fragrances and elements of green apples and citrus. 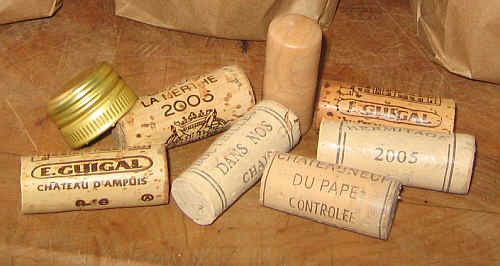 Roussanne and Marsanne (along with Viognier) are especially prominent in the Northern Rhone, while Grenache Blanc is more typically found in the Southern Rhone. This Southern Rhone features Grenache Blanc, Roussanne and Ugni Blanc (in unreported percentages) had a medium straw color. The aromas reminded me of apricots and white flowers. It's more charming on the nose than on the palate, however. 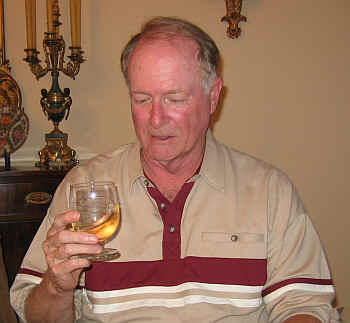 A dry wine, I found it austere and a bit coarse or mouth-drying. It's worthy of a half-star rating on my three star scale, no stars being a boringly ordinary wine. 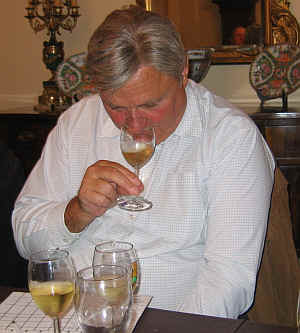 Medium + straw colored, with brassy reflections, Guigal's wine showed some white flower aromas and a whiff of oak. 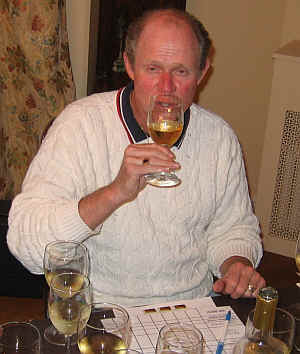 I liked the aromas quite a bit, but the wine seemed a bit flat on the palate. There are flavors of honeyed pears with a faintly smoky note...perfectly pleasant and nice, but lacking a element of excitement. I gave it a one star rating. Like the other Guigal wine posted above, this wine is 95% Marsanne and 5% Roussanne (according to Guigal's press clippings). I found it to be light straw in color and showing hints of spice notes and white pepper on the nose. It's a dry and crisp, tangy white wine. Light spice flavors and a bright, fruity element make for a pleasant dry white wine. Half to one star. This simple little white from a grower's co-op winery in the Southern Rhone made a nice showing. It's light straw in color and offers very fresh, fruity aromas with hints of white flowers and apricot or peach. The wine is dry and reasonably crisp on the palate with medium-light body. The peach notes show nicely in the mouth...very fine. I gave it a one-and-a-half star rating. Not bad for an eight buck bottle of wine! Showing a light straw color, La Nerthe's wine displayed fresh, brightly peach-like aromas on the nose...very charming! It's dry and mildly acidic. Medium bodied, the peach notes are confirmed on the palate and the wine is complete and long. Very fine! The wine is based on Grenache Blanc and Roussanne with small amounts of Bourboulenc and Clairette. Two stars. Medium straw in color, this wine had elements of honey and smoke on the nose. It's a dry wine with reasonably nice acidity and medium body. The flavors were honeyed, as well, but it's almost gritty and mouth-drying. I'm sure this will make for a nice accompaniment to seafood on the dinner table, but I found it less enchanting as a performer in a wine-tasting. A half star rating. Medium+ yellow in color, the fragrance of this wine is very pear-like with hints of oak in the background. Very charming! The wine is dry and crisp on the palate, with medium body. It's remarkably fresh and 'wiry' on the palate, with plenty of fruit and nice tangy acidity. Though it's nearly 3 years old, the wine tastes youthful. We understand it to be 65% Marsanne and 35% Roussanne. Two stars. Medium straw in color, I found not only pear-like fruit as in Jaboulet's more costly wine, but also hints of fresh peach on the nose. Oak, again, is in the background with the fruit taking center stage. Dry and crisp, this medium-full bodied wine is deep, fruity and has a mild spice element on the palate. Crisp. Very fine. Two-and-a-half stars.